So you want your own web server running WordPress? Previously in Parts One and Two, we setup a new Linux box, and got all the prerequisites installed. Now it’s time to deploy WordPress. 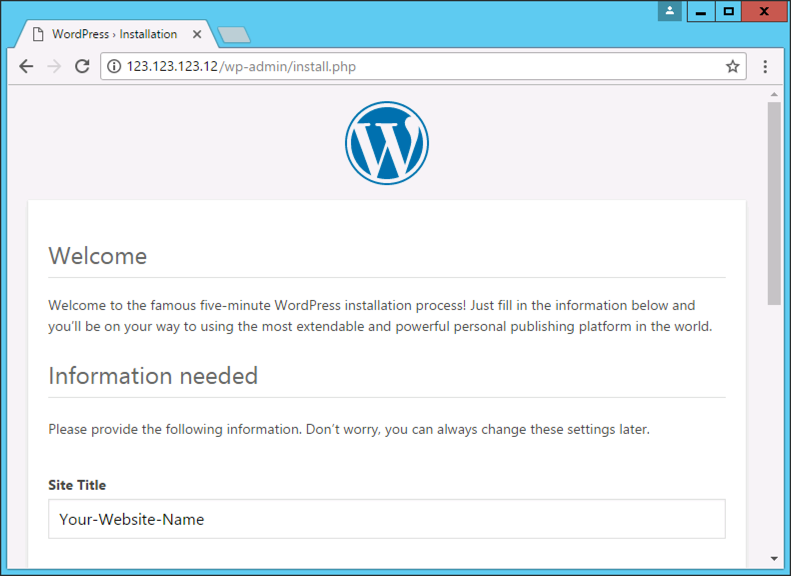 We are going to use the /tmp directory and download wordpress into that, you don’t need to worry about what version to download because the good folk at WordPress use the same URL for the latest version and keep it updated. If you didn’t already guess from the file extension, the WordPress files are compressed, we need to ‘extract’ them. WordPress has a file called wp-config.php in the root of the website that we will be editing in a while, so we are going to create that file by using the ‘sample’ file provided. And, to save you hassle, (in future) we will pre-create the folder that WordPress will need when you eventually come to upgrade it, it will also, (after we have moved it in a minute), have the correct permissions. Now we have all the files, but they are in the WRONG PLACE, they are all sat in the /tmp directory, but we want them in the root of your website, i.e. the /var/www/html directory. So to copy them (in bulk). You won’t see anything happen, but if you have a look in your /var/www/html directory, the files will be there. Now edit the wp-config.php file, when its open go the the section that ‘looks like’ the text you copied above and paste your text over the top. While you are still in the file, you need to enter the database settings you setup in Part One. Near the top of the file you will see there’s a space for database name, username and password. Now if you browse to your website, you should see the WordPress language selection, select your language and enter the settings and logon details for your website. You will be logged into your sites admin panel (http://your-site/wp-admin). From here you can install new themes, add new plugins, and create new posts. 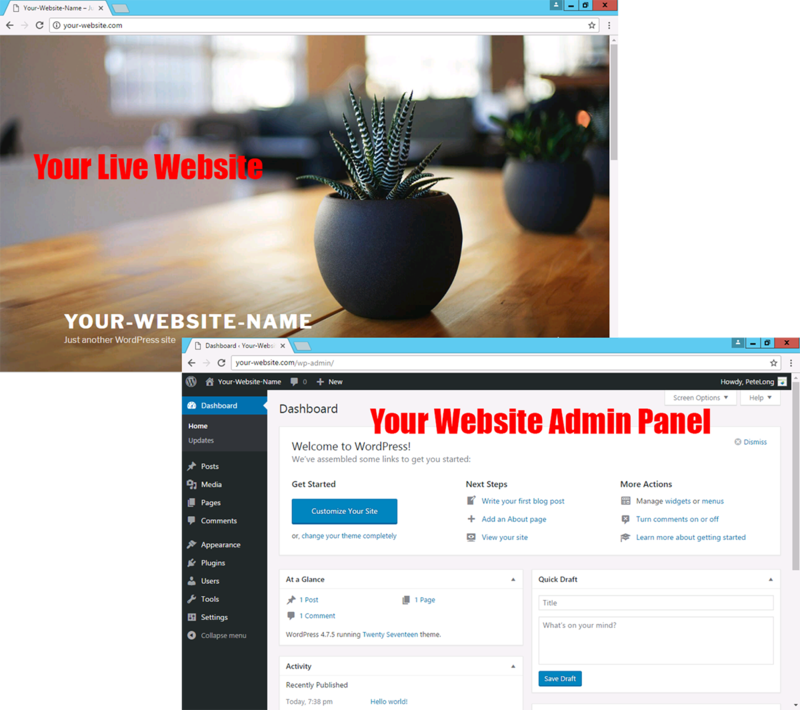 Your website will now be ‘live’.